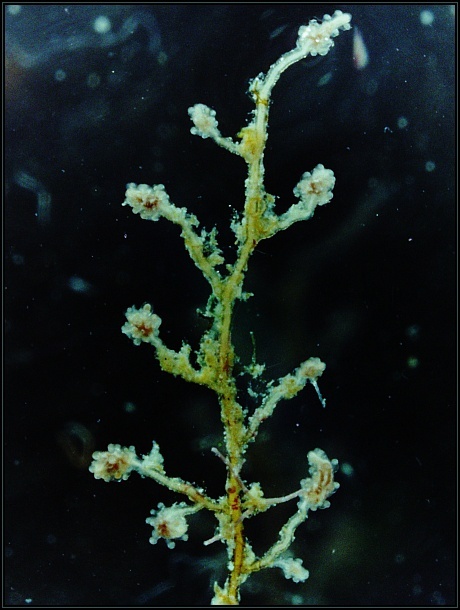 Coryne muscoides is an athecate hydroid commonly found attached to rocks and seaweeds in areas with continuous currents. It is pale rose-pink coloured with simple stems and alternate branching. The stem is covered by a transparent layer and the branches end with the atechate tentacles which appear knobbly.